My choice is Rainbow Star. I think you should name this ‘Star Bright”. ‘Falling Star’ because it gives the feeling of falling into the piece. Croheted Star to light your way home! Ring of Stars is my my choice for this pattern. The Amazing technicolor dream star! How to Crochet… the Polaris Star. Polaris… AKA the North Star… is the brightest star in the Little Dipper and is often used as a starting point to locate other stars and constellations in the sky. 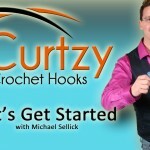 How to Crochet a six sided star! How to Crochet a Lotus of the Heart! i would name it shining star and i would use it for a blanket and to cover the tree and a table top too. it is beautiful. it is just shining with hope. How to crochet a loco star! How to crochet a little piece of sunshine! 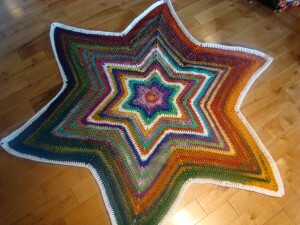 How to crochet a sunny star! !